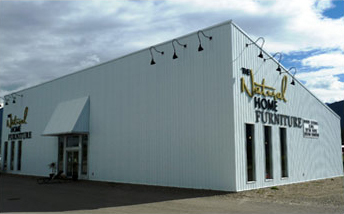 The Natural Home, Furniture sell's home furnishings that meet your needs today without compromising the earth’s ability to make them tomorrow. Their wide range of ancient woods, quality leathers, natural bedding and modern home décor are sold with the highest attention to quality and ‘eco-friendly’ processes as possible. Come and browse through aesthetically, sophisticated furnishings made with true organic craftsmanship. The friendly staff will walk you through the fine details of furniture and accessories that can turn your house into a comfortable home! We are also home to the very creative Erin Reid Design. A full interior design service from new construction to home furnishings.